When the news hit the wires, or in more modern parlance, timelines of England fans, stating that Stuart Lancaster and his coaching team, Andy Farrell, Mike Catt and Graham Rowntree had signed six-year contract extensions to take them to 2020, the first thing that sprang to mind was the eight-year contract offered to the embattled Newcastle manager Alan Pardew. Whether RFU Chief Executive Ian Ritchie will be as reluctant to pay out as Mike Ashley seems, should results take a turn for the worse, is a moot point but whatever your take, it is some gamble by the convivial former All England Club chief executive. One the one hand, it’s a move designed to bring reassurance and remove any elements of instability to a coaching group that would be forgiven for raising a few beers in the direction of Twickenham this evening. On the other, it could be argued that Stuart Lancaster should have been made to wait until after the perilous Pool stages at the Rugby World Cup had been negotiated before any lucrative deal was rubber stamped. It seems Ian Ritchie has gone with the carrot, not the stick his playing his hand early. He has been at pains to stress that he cannot hypothesise as to future results but he can only look at history for two Test cases that brought very different end results. In 1999, the right boot of Jannie de Beer sent Clive Woodward scurrying back to his bunker to await his fate before, after some deliberation, he was given a reprieve and he duly repaid the faith the RFU had invested in him by spiriting the World Cup from under the noses of the Australian’s four years later in Sydney. Only the flip side, four years later, Ireland coach Eddie O’Sullivan was rewarded with a fresh four-year contract, before the 2007 Rugby World Cup, and saw his regime unravel before the ink dried as they crashed out of the tournament and lost their lustre months later in the Six Nations. O’Sullivan was a footnote in the IRFU’s history merely six months later. 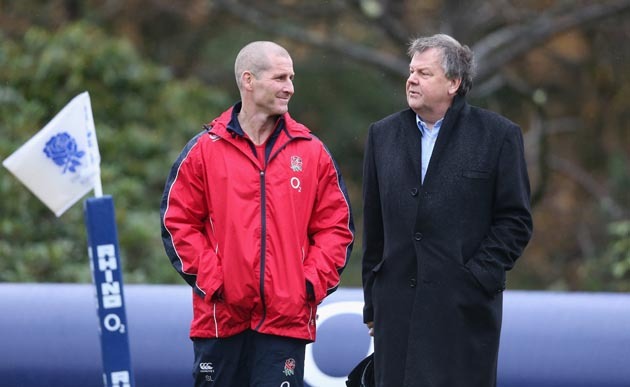 The RFU’s announcement was always bound to raise eyebrows. 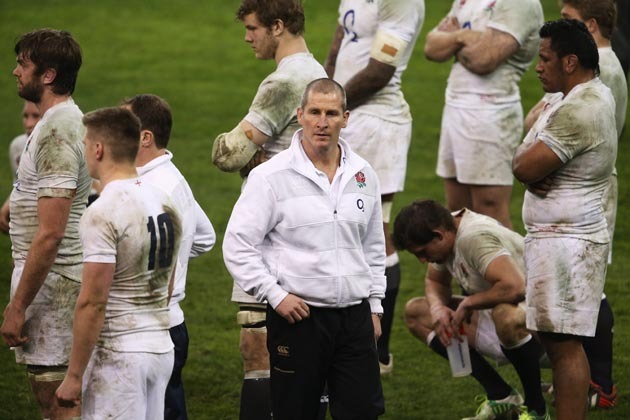 A six-year coaching term is rare in a market as volatile as international sport but it speaks volumes for the job Stuart Lancaster has done to change the culture within England. This, less than three years since the RFU was mired in leaks, poor discipline and most importantly, limp on-field performances. Since taking over, his results have been of the steady, slow-burn nature rather than spectacular. A 6o per cent win rate in 30 games in charge is consistent, while three creditable second-place Six Nations finishes, with only a Gael Fickou step to deny him England’s first Grand Slam in 11 years, a reasonable return. The nadir came in March 2013, with the 30-3 mauling at the Millennium Stadium against a fired-up Welsh side but Lancaster, importantly, didn’t buckle. The stand-out result is easy, a dismantling of the All Black machine 38-21 at Twickenham, in the only game Steve Hansen’s men have lost since 2011. Away from scoreboard and looking at the wider picture, Lancaster can take credit for reshaping the squad to reflect his values. Low-key, humble and driven are all adjectives you’d use to describe the new England and that has made them a marketable commodity with the sponsors who have been wooed by their exemplary behaviour to furnish the Union’s coffers. The long-term contracts are also commendably aimed at taking some of the pressure off the coaches to allow them to further plan beyond 2015 and towards the World Cup in Japan in 2019 where they reap the benefit of two consecutive Junior World Cup winners squads, replete with tantalising talent in the form of Henry Slade, Sam Hill, Anthony Watson, Jack Nowell and Luke Cowan Dickie. You cannot blame any coach for wanting to work with that potential. That’s enough of the theory, and you wish Lancaster good luck. He’ll be all too aware that should Australia and Wales humiliate England on home-soil in next year’s World Cup, leaving England to host a competition they’re no longer part of, then he may find a darkening in Ian Ritchie’s tone as England’s supremo is left with the same choice as Francis Barron had in 1999. To stick or twist. For England’s supporters, they will hope he’s is not faced with that unpalatable scenario.